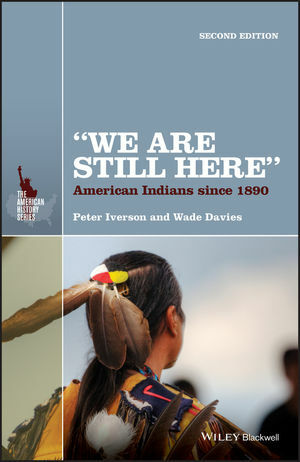 In addition to revisions and updates, the second edition of “We Are Still Here” features new material, seeing this well-loved American History Series volume maintain its treatment of American Indians in the 20th century while extending its coverage into the opening decades of the 21st century. Peter Iverson is Regents' Professor of History (Emeritus) at Arizona State University. He is the author, co-author, or editor of more than 12 books, including We Will Secure Our Future: Empowering the Navajo Nation (with Peterson Zah, 2012); Diné: A History of the Navajos (2002); When Indians Became Cowboys (1997); and The Navajo Nation (1983). He has received the Outstanding Doctoral Mentor Award from the Graduate College at Arizona State University and awards for his service to the Navajo Nation and the Ak-Chin Indian Community. Wade Davies is Professor of Native American Studies at the University of Montana. He is the author of Healing Ways: Navajo Health Care in the Twentieth Century (2001), numerous articles on the history of American Indian sports, and is co-editor of American Indian Sovereignty and Law: An Annotated Bibliography (with Richmond L. Clow, 2009).